Cristiano Ronaldo made no attempt to hold back his annoyance at being substituted during Real Madrid’s 2-2 draw with Las Palmas. 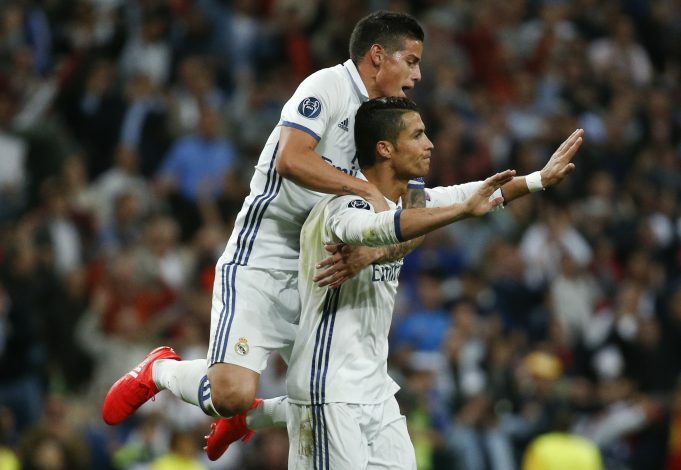 Ronaldo was taken off with 20 minutes of the match left to play, and the score being 2-1 in Real’s favour. This was the first time in his Real Madrid career that the Portuguese forward had been taken off for tactical reasons, and he was clearly outraged. Spanish TV station Cuatro’s lip readers attempted to figure out exactly what Ronaldo said as he made his way furiously to the bench. On his way, he had a brief exchange with Real Madrid representative Garcia Coll, and the lip readers revealed that it was far from a pleasant one. “F***” in Portuguese, as well as a “Mother f*****” in Spanish. He also said, “There’s 20 minutes left, 20 minutes!”, while ripping off his wrist bandage. Despite the incident, Los Blancos boss Zinedine Zidane insisted that there was no rift between him and the three-time Ballon D’Or winner, saying that he isn’t stupid and Ronaldo is intelligent. “Everything is normal,” Zidane said. “It is not just Cristiano — all players can be angry when they leave the pitch. We’re already thinking about tomorrow’s game. I took the decision for the good of the player.